Cubiture is changing the way people think about office chairs. In the past, ergonomic chairs were expensive–easily costing 500.00-800.00 for basic back support and height adjustment positioning. This caused many smaller companies to avoid investing in ergonomics. They saw it as an unnecessary luxury that represented a non-essential, added expense. Studies on ergonomics, however, began to report that uncomfortable employees leave their workstations more often. This results in lost time, and consequently, lost money. Cubiture decided to do something about this. We took the most advanced ergonomic features from the most expensive office chairs and put them on chairs that sell for less than half the average amount. You will not find a chair for under 200 dollars that offers the level of comfort, and that lasts for a long period of time, unless you find it at Cubiture. Most office chairs have padded seats, but the pad is only an inch or 2 thick. Our seats are different. Made with molded foam, each measures 3-4 inches in thickness. The contour helps you sit back slightly in the chair. It also keeps you from sitting on the pan of the chair. Almost all office chairs tilt back. Some, however, tilt you too far back. If you lean backward in a chair and your feet leave the ground, you will end up arching your back forward to see your computer. This can result in severe muscle spasms. Cubiture chairs won’t do this. When you tilt back in them, your feet remain on the ground so you do not have to strain your back to work. We think of adjusting the height of a chair, but we seldom think of adjusting the arms. Did you know that the position of your arms can affect your upper back and shoulders? If your arms are too high, reaching down to type can cause your neck muscles to pinch. Cubiture’s chairs allow you to set your armrests at a 90-degree angle to your computer. Almost any chair offers a curved back to support your back. Cubiture’s office chairs take this support one step further. They curve most toward the bottom of the chair back to support the lower lumbar region of the back where the spine curves the most. Would you think that the mesh on the back of a chair makes that much of a difference? It does if you happen to be wearing a silk shirt or thin blouse. A hard mesh back is going to press through thin material into the skin. Our office chairs are designed to cushion the back–not leave little red marks on it. Soft mesh is far more comfortable and is easier on fine clothing. Many people think they have to pay more for office chairs that look exceptionally stylish. This is not he case with Cubiture. Even the most basic of task chairs features a noticeable style that contributes to any transitional, modern, or contemporary office design. Some models, such as those used for conference or guest seating, can be fitted with glides to keep them stationary. Office chairs are perhaps the most important investment you will make in ergonomics. Employees spend the bulk o their day seated, so why not make sitting at a workstation a comfortable experience? Cubiture sells office chairs that are designed for different types of job descriptions. Comfortable employees work harder with greater focus. Comfortable pricing brings office chairs within budget tolerance for even the smallest of companies. CUBE-1147 Shopping for new office chairs helps guarantee optimal comfort and also helps make the most of productivity in businesses and home offices. 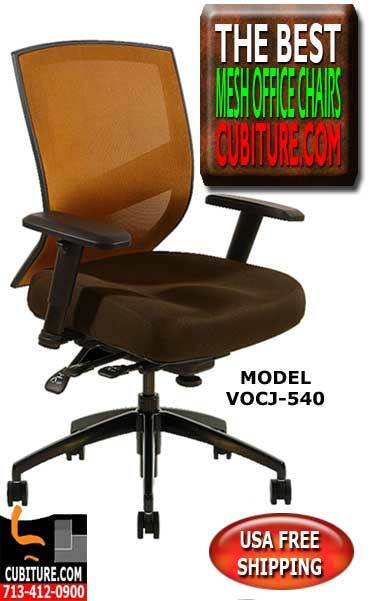 VOCJ-540 Mesh Office Chairs Direct From The Manufacturer - FREE USA Shipping! Rolling Office Chairs To Boost Productivity. 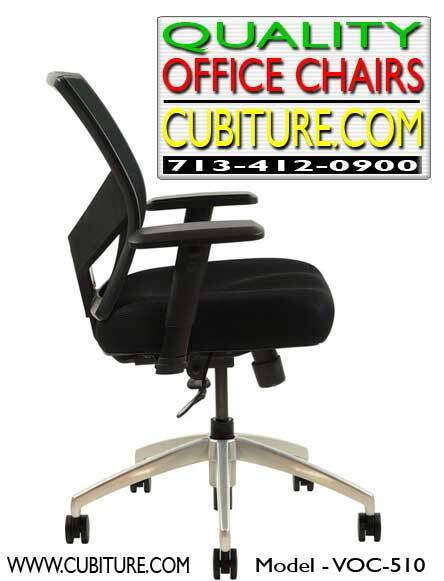 Buying Office Chairs Direct From The Manufacturer Cubiture.Com Will Save You Money Today! 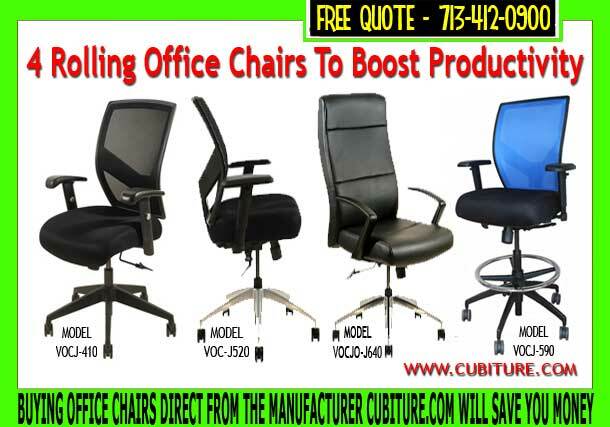 VOC-540 New Office Chairs For Sale Direct From The Manufacturer. Cubiture.com Will Save You Money Today! 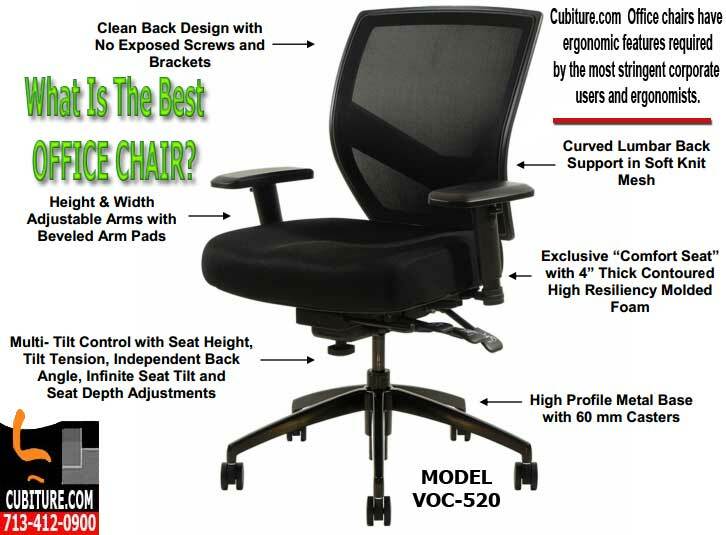 VOC-640 Lumbar Support Office Chair For Sale By Cubiture.com. Buying Direct From The Manufacturer Saves You Money Today! 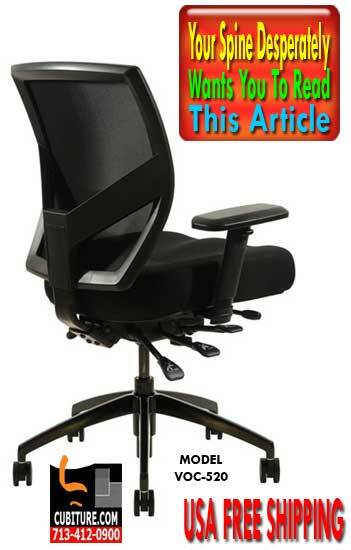 VOC-690 Modern Ergonomic Office Chairs Sold Direct From The Manufacturer Save's You Money! 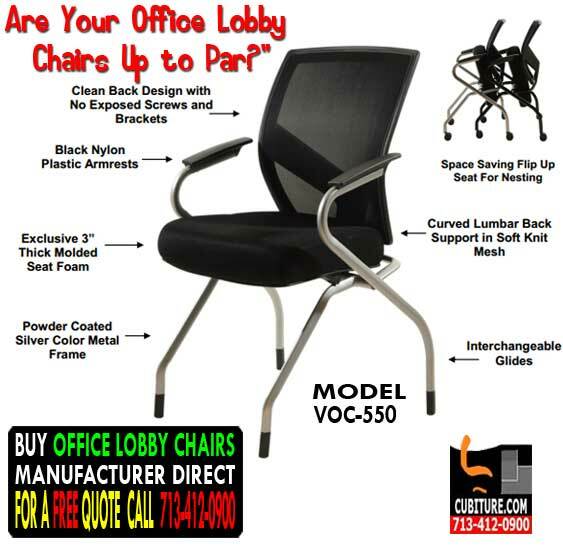 VOC-620 What To Look For In A Home Office Chair? 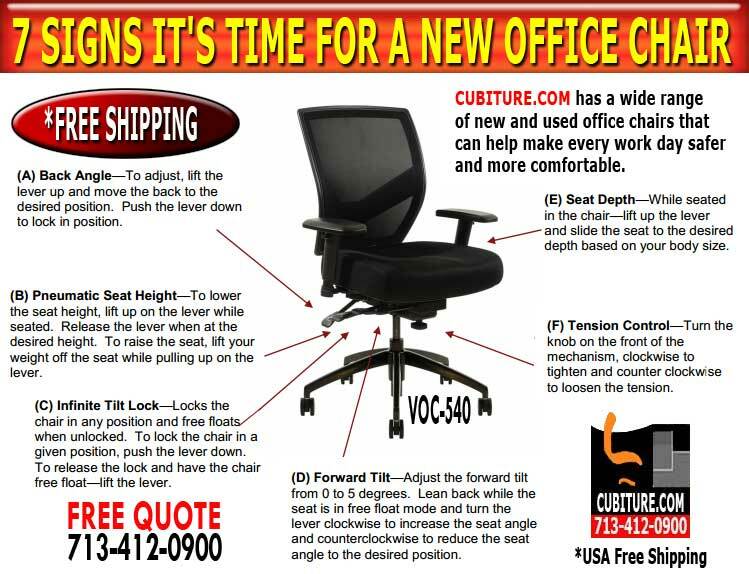 The Cubiture VOC-520 Is The Best Office Chair On The Market Today. 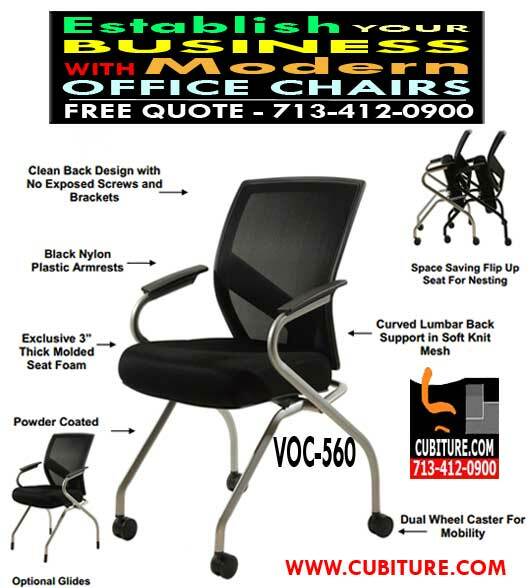 VOC-510 Quality Office Chairs For Sale In Houston Texas. Visit Or Office Furniture Showroom Store In West Houston Located On Beltway 8 West.